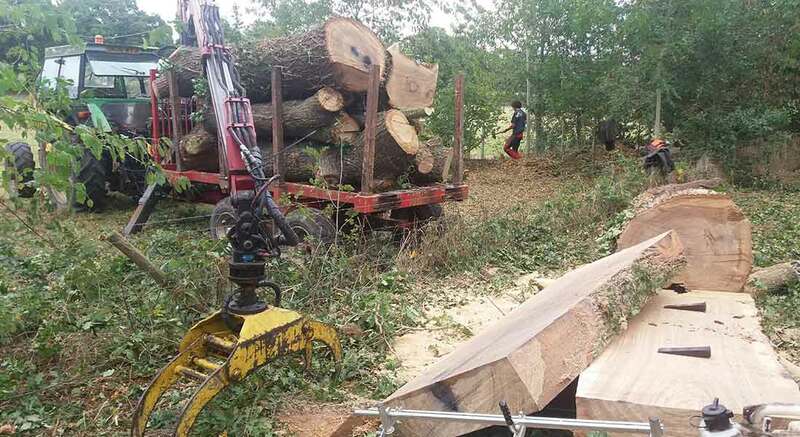 Recently Susex Timber Co. were asked by there sister company Arboricultural Excellence to convert 2 x Oak trees into beams for a building project. The farmer based in Partridge Green had to take the trees down due to safety reasons and thought he could use some of the timber to help make a new barn on the farm. We used our Alskan mill to saw the largest log into 8 inch slabs so that they could be lifted by our tractor mounted crane. They were still very heavy! Once back at the yard we can then put our sawmill to work and convert the timber into pieces from the cutting list provided. We will let you know the results. 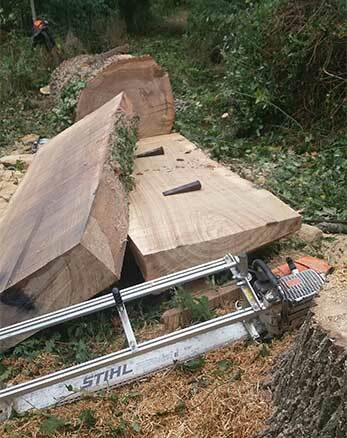 Heres some pics of the giant slab wood.